ARIEL Vanguardia is taking over as head coach of Phoenix Petroleum in the PBA. A source who refused to be named said Phoenix players were informed on Tuesday afternoon about the coaching change that will see the ABL champion coach taking over from Koy Banal. Vanguardia, who led the KL Dragons to the last ABL championship, has yet to respond to queries from SPIN.ph for confirmation as of posting time. Phoenix later confirmed the development in a statement. SPIN.ph has hinted about Banal's departure from Phoenix and a likely return to the SMC organization a few weeks back. "(Vanguardia's appointment) is in consonance with the long term plan of building an exciting and new team which is likewise in line with the marketing programs of the company," Phoenix said in the statement. "We are grateful for the efforts and professionalism of Coach Banal and the rest of the staff and we wish them well in their future endeavors." Vanguardia will be calling the shots for Phoenix in the Governors’ Cup - its second conference in the league since acquiring the Barako Bull franchise. 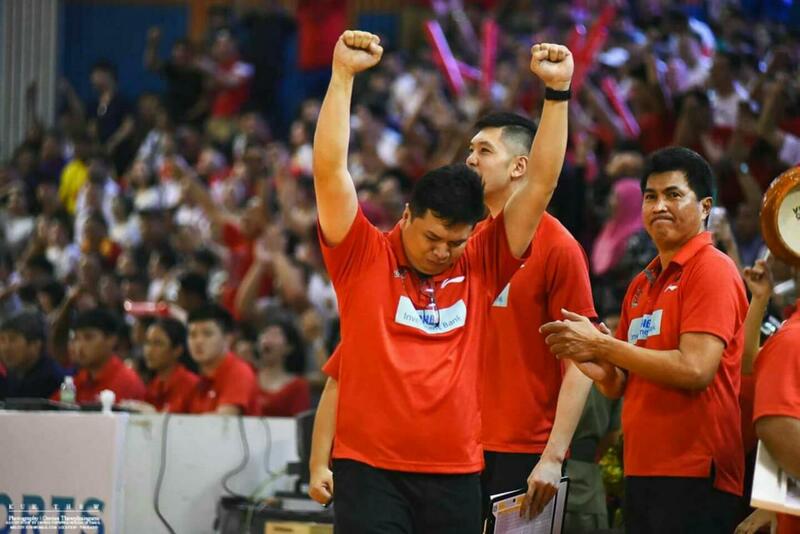 Vanguardia recently guided the Westports Malaysia Dragons to the 2015-2016 Asean Basketball League title after beating the Singapore Slingers in the finals. A former head coach of the Jose Rizal University Heavy Bombers in the NCAA and Talk 'N Text in the PBA, Vanguardia was also an assistant coach for Blackwater in the PBA before his assumption to the Phoenix head-coaching job.